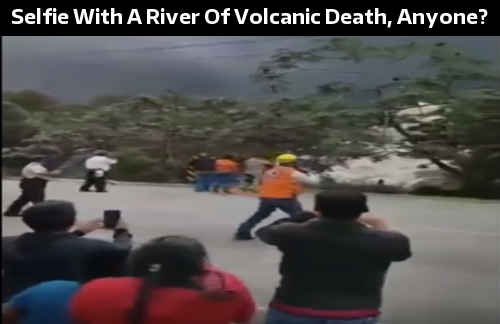 In the absolutely surreal photographs in this new story over at the Daily Mail, we see the bodies of those who weren't able to escape the rapidly flowing rivers of lava, ash and mud that erupted from Guatemala's Fuego volcano as if frozen in time. Scenes that Newsweek compared to those which followed the eruption of Mount Vesuvius in Italy all the way back in 79 AD, an eruption which buried the entire city of Pompeii under 13 to 20 feet of volcanic ash and pumice, burying most inhabitants before they even had the chance to escape. With nearly 200 still missing in Guatemala and now at least 99 dead following the 'curtain of ashes' that blanketed the small city of Escuintla near the volcano and authorities there warning of more devastation to come after the 'Volcano of Fire' roared to life, the scene in Guatemala was a far cry from the scene in Hawaii, where the much slower moving lava is still blanketing homes, roadways and everything within its path but not leading to the same death toll and for good reason. They're different eruption styles are born from the volcanoes' unique underlying geology, says Concord University volcanologist Janine Krippner. “The magma itself is quite different,” she says. While the lava at Kilauea slowly oozed towards homes, streets and other man made structures before completely overtaking them, Forbes reported back in 2017 that the 'pyroclastic flow' from a stratovolcano like Fuego can move at speeds of 50 miles per hour UP TO 450 miles per hour. And while some of the people in Guatemala thought it might be cool to get close up shots of the rushing onslaught, the fast moving mixture of ash, lava, dirt and gas can quite literally cook the human body at temperatures between 390 and 1,300 degrees fahrenheit for those who were sadly unable to get out of the way. The worst of the volcano's impacts are chain reactions following the fiery eruption. After an eruption explodes from Fuego's crater, it deposits loose rock and volcanic debris onto the volcano's slopes. Pyroclastic flows form when the ash and rocks, some as large as boulders, form hot, fast avalanches that rapidly descend. 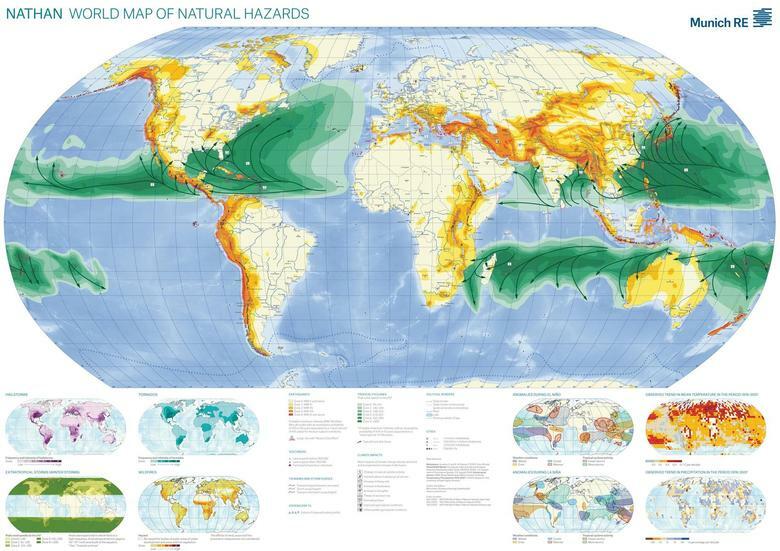 To see the world natural hazard map above in more detail, right click 'open image in new tab' then left click to enlarge. While the Ring of Fire has clearly come roaring to life with Kilauea and Fuego just two of numerous volcanoes around our planet now erupting, as Mac Slavo recently reported over at SHTFPlan as is also seen and heard in the final video below, a mega-tsunami is in the East Coast of the US's future, though such a volcano-triggered disaster could still be centuries away. According to the Abstract of the research done by Steven N. Ward with the Institute of Geophysics and Planetary Physics at the University of California, Santa Cruz and Simon Day, with Benfield Greig Hazard Research Centre, Department of Geological Sciences, University College, London, geological evidence suggests that during a future eruption, Cumbre Vieja Volcano on the Island of La Palma may experience a catastrophic failure of its west flank. So how does one prepare for a tsunami? Basically, you’ll need to get out of its way. 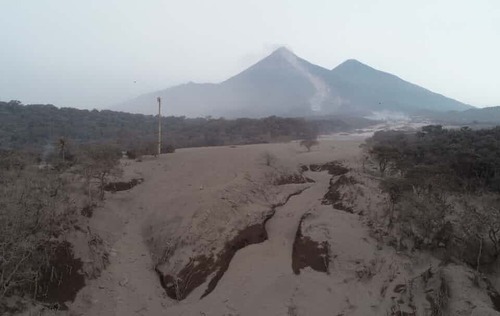 Just like those who should have gotten as far away as they possibly could from the pyroclastic flow coming from El Fuego in Guatemala. You can read more on tsunami prep at Slavo's story and in this book from Tess Pennington "The Prepper's Blueprint". Unfortunately, as this new story over at Strange Sounds reports, far too many people didn't get out of the way of the flow of Fuego, turning homes and entire villages into gigantic ovens and crematoriums, quite literally suffocating people under boiling ash. While the Guardian story also reported that the exact location of that volcanic eruption has still not yet been determined, scientists claimed it likely brought temperatures down by 4 degrees celsius all across the Northern hemisphere with the ash cloud circling the globe. 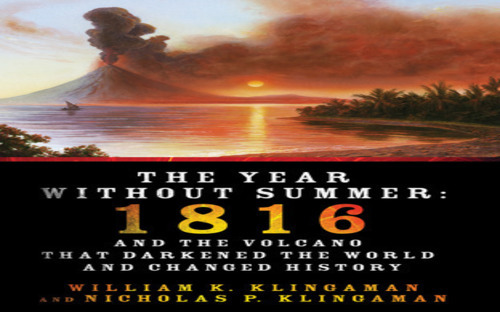 And as we reported on ANP back in February, the 1815 eruption of Mount Tambora in Indonesia also caused mass deaths and famine thousands of miles away in the year 1816, even right here in America, as we suffered through what has since been known as the 'Year without a summer'. Darkening the planet and changing the course of history, the eruption of Mount Tambora should be a warning to us all that just because a volcanic eruption might happen thousands of miles away doesn't mean that it won't somehow affect us here and as we reported on ANP back on May 26th and saw in the crop loss map provided by videographer Ice Age Farmer, 2018's brutally cold and seemingly never-ending-winter has already taken a toll on the world's food supply. In a Grand Solar Minimum, cosmic rays trigger larger flash floods, hailstorms and – due to jet stream disturbance and mixing of atmospheric layers – local long-duration precipitation events (e.g. atmospheric rivers). At the same time as the increased local flooding events occur, more cloud cover and less sea surface water heating means less evaporation of sea water, specific humidity is reduced, overall rainfall amounts are reduced, despite regional precipitation records and flooding. In general, water tends to remain in the cloud cover for longer durations. When clouds are rained out, this happens more violently, whereas the regular transport into the continents is diminished. 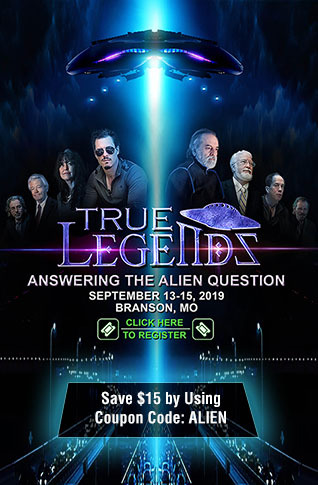 In Grand Solar Minimum, local droughts and crop failure can be caused not only by less rain and more winds, but simply by lower specific humidity. This may not even show up on climate records (temperature and precipitation). Such droughts will most likely be misinterpreted as drought from warming and evaporation. As a consequence of these eruptions, increased amounts of volcanic aerosols and gases can generate global dimming and further cloud nucleation, leading to more cooling and crop failure, another feedback mechanism. 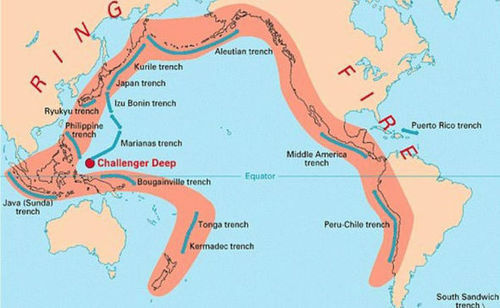 According to this June 4th story over at The Express, all of the extreme activity that we've recently been witnessing across the Ring of Fire has some experts concerned 'the big one' is on the way with the chain of volcanic and seismic unrest spanning 25,000 miles called the 'Ring of Fire' now seemingly fully awoken. With over 500 earthquakes in Hawaii recently over one day another sign of that unrest, one Hawaiian correctly warned "the world can change in seconds", a truth far too many people recently learned in Guatemala. While some claim the volcanic eruptions in Hawaii and Guatemala are not related because the Kilauea volcano isn't technically along the 'Ring of Fire', we have to remind them they are all connected as the Earth is connected by its plates. And while the mainstream media will attempt to cover up the arrival of solar minimum and the increase in West coast seismic activity, some geologists warn that volcanic activity is definitely on the rise, something the msm will never be able to completely cover up with 25,000 miles of potential volcanic and seismic unrest. In the first video below from RT we learn more about the eruptions of Fuego and Kilauea with experts in Hawaii now warning that the worst is yet to come there while residents of Guatemala try to dig out while burying their dead while in the 2nd video, videographer Ice Age Farmer talks with us about the mainstream media's attempts to downplay what's now happening across the planet. And as mentioned earlier in the story, the final video below is an excellent look at 'worst case scenario' involving the Cumbre Vieja volcano in the Canary Islands and the very real potential that a catastrophic collapse of its western flank could send a mega-tsunami across the Atlantic Ocean and towards the East coast.